Next, our Editor-at-Large, Olivia Eisinger will make contact and create a Reader’s Report and then help with finally polishing the manuscript to ensure it is ‘over ready’. Designer Clare Clarke produces the most beautiful book layouts and designs and Emma Fletcher is our author website specialist. Kezzie Nicholson, of Social Fireworks helps our authors to get to grips with social media and email marketing. Our production manager, Zara Thatcher is on hand to monitor quality control, manage the production process and ensure that books are printed and dispatched on time. She also manages a book fulfilment services to post our books ordered on our author’s own websites. We have also added to our cloud-based author Project Management System, a new step-by-step process to keep each book on track during the pre-launch phase so that everything happens in good time to get a book into the supply chain. 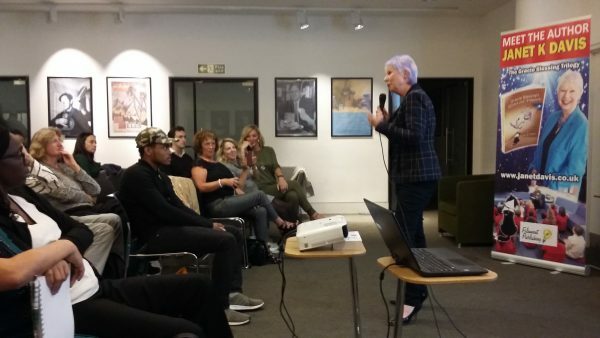 To help give your book the best start in life, we are working with top book publicist Helen Lewis who has a great track record in getting extensive media coverage for our authors. To help our authors to understand which are their most profitable sales, and to keep their costs to a minimum, Filament has now introduced Author trading Accounts. You can only manage what you can measure, and the Author’s Trading Account keeps all income and expenditure in one place to enable authors to make informed decisions and maximise their profits. It is easy to overlook profit leaks caused by too many small orders each with a delivery cost. Printing small quantities may appear to be convenient, but printing larger quantities will always be far more profitable. The Author Trading account makes it easy see this and to take the most profitable decisions. Many authors just focus on Royalties, without looking at the bigger picture. Royalties are based on the net profit received from a sale. What authors need to know is how the net profit is arrived at. For example, what are the printing and dispatch costs and are they the best they can be? If not how can they be improved, and how can the net profit be increased? Profits are what is left after costs have been deducted from income. You need to know both sides of the equation in order to run a successful business. The Author Trading Account will help achieve this. Our philosophy at Filament is to help our authors become self-sufficient in all aspects of book marketing, social media and building their following. Our job does not finish at the time of publication but continues for the lifetime of the book. We are always available to send out press releases and book trade promotions and to provide any training that may be required. 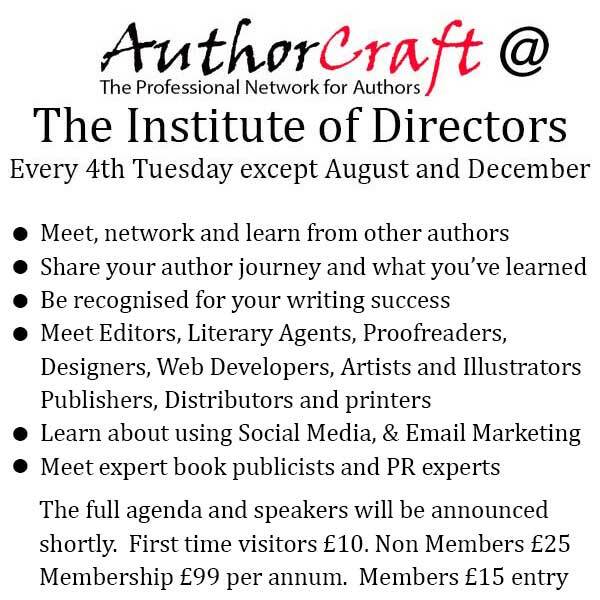 Our monthly Authorcraft events in the Institute of Directors in London are where our training takes place. 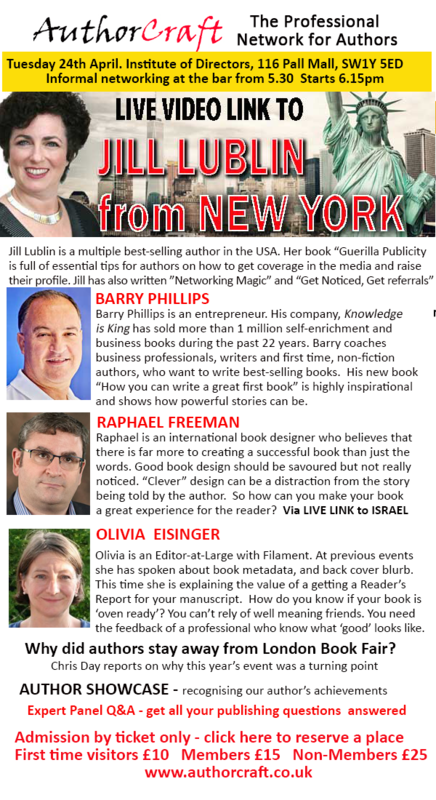 There is no better place to meet other authors and to learn from each other what works – and what doesn’t!